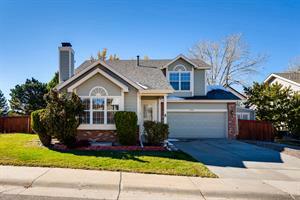 Make yourself at home at this charming 3 bedroom 2.5 bathroom home located in thorton! This spacious floor plan features a welcoming kitchen that opens to the bright and spacious living room. End the day relaxing inside by the cozy fireplace or outside in the backyard. Don't miss this opportunity to make this home yours. Contact our leasing agent for more information! This home is professionally managed by Pathlight Property Management, the exclusive property manager for Home Partners of America, offering excellent customer service, 24/7 emergency maintenance service, online application and payments, and pet-friendly options. HOA occupancy restrictions may apply. HOA occupancy restrictions may apply. Beautiful 4 bedroom, 3 1/2 bath house located in a great neighborhood. Corner lot with gorgeous views of the mountains. Hardwood flooring in the kitchen and dining area on the first floor and carpet throughout the rest of the house. Don't miss this opportunity to make this home yours. Contact our leasing agent for more information! 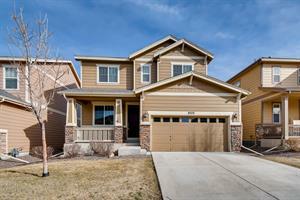 See yourself coming home to this gorgeous 5 bedroom 3.5 bathroom home located in Castle Rock! (Updated photo's coming soon!) This bright and spacious home features a beautiful upgraded kitchen fit for entertaining. The spacious living room offers plenty of room to relax. Spend those cool winter nights inside by the cozy fireplace or enjoy those warm summer nights outside in your own backyard! Make this home yours today. Contact our leasing agent for more information! Make yourself at home in this beautiful 4 bedroom, 3 bathroom, 1,947 sq. 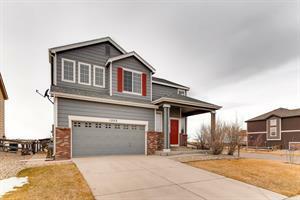 ft. home in Littleton that has everything you've been searching for! Enjoy your morning coffee in the inviting kitchen filled with lots of cabinets, counter space, and breakfast area. Relax in the living room with sky high vaulted ceilings and spacious seating area. Large master suite with additional seating area, spacious secondary rooms, and open game room. Enjoy the warm summer days on the back deck with private yard and lots of space! Be sure to schedule your showing today! HOA occupancy restrictions may apply. 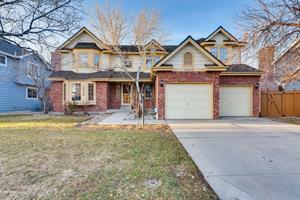 See yourself coming home to this gorgeous 5 bedroom 2 bathroom two story home located in Centennial! This bright and spacious home features a luxury kitchen fit for entertaining or relaxing in the bright, spacious living room. With a large yard you can enjoy those warm summer nights outside! Make this home yours today. Contact our leasing agent for more information! Beautiful 2 story with a basement. 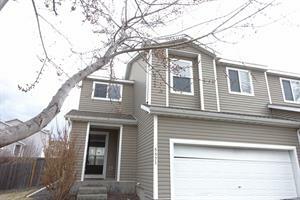 3 bedrooms with loft area upstairs, 3 1/2 baths, 2 car attached garage. Open kitchen and spacious family room. Close to freeways, shopping and restaurants! Don't miss this opportunity to make this home yours. Contact our leasing agent for more information! Coming soon! Beautiful Home in Windshire Park. (Updated photo's coming soon!) Appealing 4 bedroom 3 bath home has a large kitchen with an island, as well as bedroom level laundry room. With a large, private yard you can enjoy those warm summer nights outside! Don't miss this opportunity to make this home yours. Contact our leasing agent for more information! Charming 3 Bedroom Aurora ranch floor plan home. Absolutely gorgeous and spacious private backyard!! Large private front living room with tons of natural light from the windows. Bedrooms feature great closet space and privacy. Additional features include attached 2 car garage and backyard features concrete patio. See yourself coming home to this gorgeous 4 bedroom 2 bathroom home! This bright and spacious home features a luxury kitchen fit for entertaining or relaxing in the bright, spacious living room. Spend those cool winter nights inside by the cozy fireplace or enjoy those warm summer nights outside in your own large, private backyard! Make this home yours today. Contact our leasing agent for more information!